Cabbage thoran is Keralite's favorite side dish, very simple and elegant sabzi that holds a very important place even in 'Kerala Sadya'. 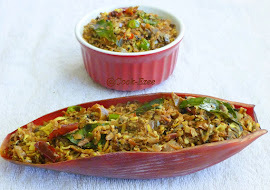 This is one of my family favorite side dish that goes well with boiled Rice and can be served with Roti as well. 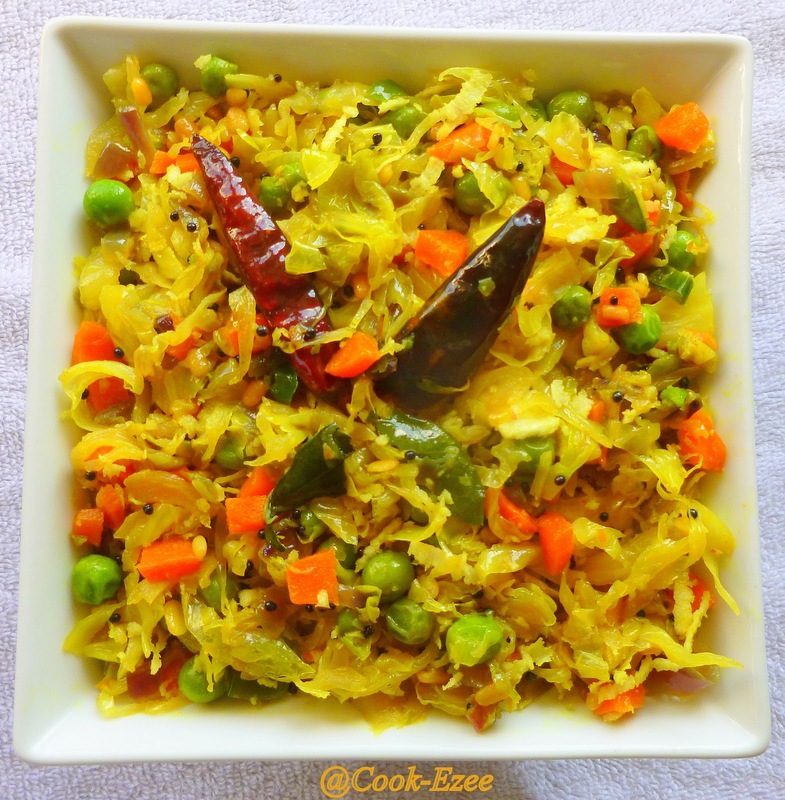 Most of the time I add carrot and green peas along with cabbage to make it a veggie pack side dish and the color combo of three is just great. 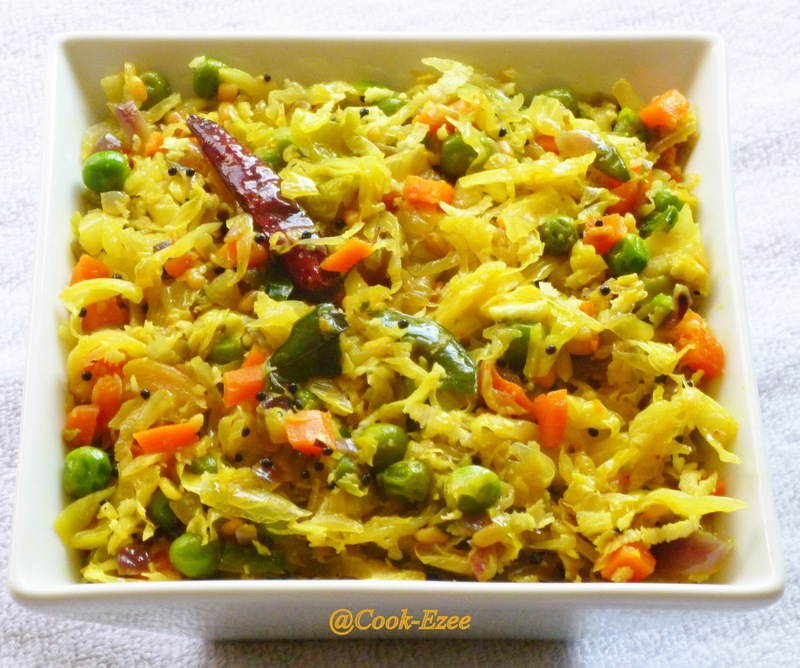 So sharing with my readers the simple and humble Cabbage thoran with Green Peas and Carrot. Enjoy!!! Chop the cabbage into fine strips, wash them well in a colander and let the water drain completely. Heat up a kadai/frying pan, pour oil, crackle mustard seeds. Add urad dal, few curry leaves, dry red chilly, green peas, chopped carrots, salt and stir fry for two-three minutes. Add the turmeric powder and stir to mix. Add chopped cabbage, stir fry for a minute. Cover and cook in medium heat for another two-three minutes, check for the salt and switch off the stove. Add grated coconut and stir well to mix and move to a serving plate. Early morning at work and already hungry seeing this:) So colourful and lovely Prathibha! mmmm, my fav combo...i make the same combo with cabbage....looks so coclorful right!! lovely pics! I just love this dish. Can have it for a stand alone meal too. 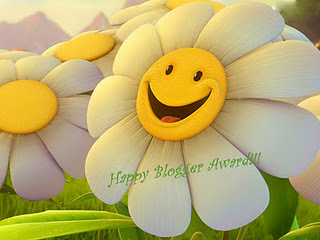 Nice blog with great pictures. Very healthy n lovely thoran..I tried adding peas in celery thoran,but yet to try in cabbage,looks delicious! !lovely clicks too! Congrats on ur Award Dear.Yumm n hit combo recipe Dear.Delish. 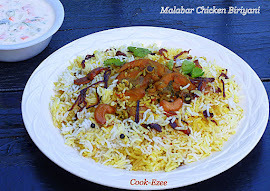 A simple, healthy and delicious thoran. Multicolored thoran dear, I make it the same way too..